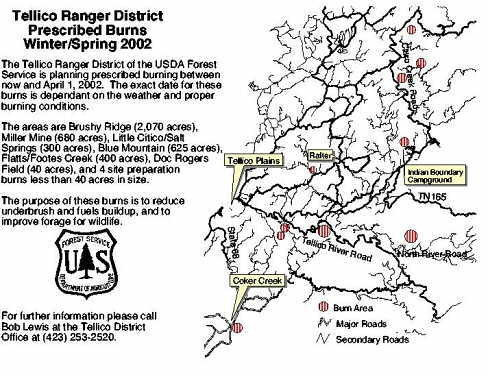 The US Forest Service has been doing controlled burns in the Cherokee National Forest over the last few weeks, when weather conditions are favorable. 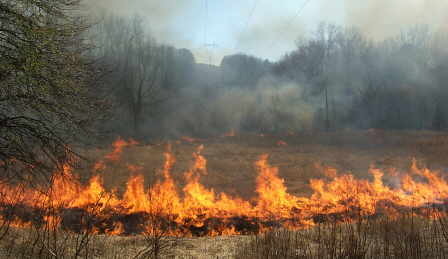 The burns help benefit the wildlife in the area, and help keep down undergrowth. 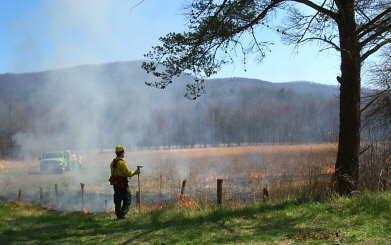 The burn pictured here is at the 40 acre Doc Roger's Fields, located in Coker Creek just off Joe Brown Highway. 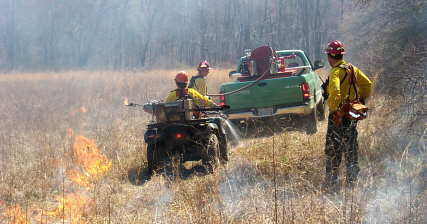 In the photo above Crew Leader Rex Kelley oversees Yvonne Ledford as she starts the burn, while Jack Crowe waters a line to keep it from nearby trees. 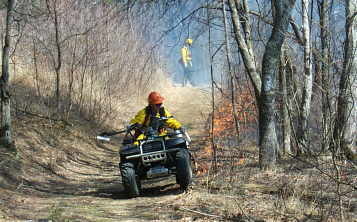 Also helping keep the fire in check was Tom Coppinger, Mary Jane Burnette, Robert Duggan and Jane Adler. Yvonne Ledford Lighting A Back Fire. 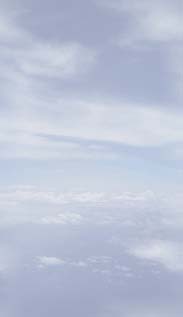 Robert Duggan Watches The Fire Line From Nearby Trees.